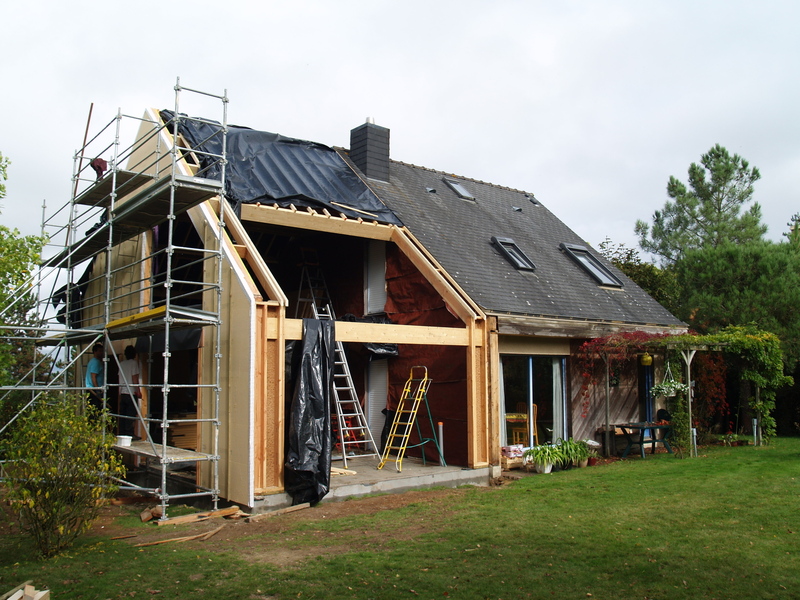 Building renovation absorbed half of France’s energy transition finance in 2013, or €36 billion, while the country spent €54 billion on oil and gas. EURACTIV France reports. The Institute for Climate Economics (I4CE), formerly the research arm of the NGO CDC Climat, has come up with a new method for analysing climate finance. By examining all of France’s emissions-reducing investments, the I4CE team attempted to find out exactly how much funding the country dedicates to the fight against climate change. The total of €36 billion for 2013 represents only around 10% of all investments in the construction and industry sectors. Germany’s spending on the energy transition is comparable. In a similar analysis carried out in 2010, the German Development Bank (KfW) found that investment in the German energy transition, excluding transport, had been comparable. But the €36 billion of French investment in low carbon energy and renovation should be seen in the broader context of the country’s energy mix: France still spends €54 billion on gas and oil every year. According to the Low Carbon National Strategy laid out in France’s energy transition law, the national objectives require the construction and renewable energies sectors to increase their effort by €10-15 billion per year. By the authors’ own admission, the figures can distort the real picture, and should be taken as nothing more than a guideline. While investments may appear to be growing, this is not always the good news it appears to be. Spending increases can simply be down to projects exceeding their budgets, like the expansion of the nuclear power station in Flamanville. On the other hand, a falling figure can reflect a fall in the cost of certain investments, as well as a fall in investment effort. Subsidies for solar panels in France have been cut in half since 2011, causing the market to stall, despite the falling cost of materials. This observation also calls into question the symbolic importance attached to the promised $100 billion annual climate finance fund by the countries of the Global South. Among the important findings of the study is the fact that French households are the country’s leaders in climate-friendly investments. This is helped by the availability of various types of credit and bank loans, and over half of all such private investments are linked to action taken by the state in this regard at one time or another. But the greatest share of France’s climate finance is invested in improving the energy efficiency of buildings. €18 billion are spent on replacing windows, improving thermal insulation in houses and installing heating systems that emit less CO2 every year. With an annual investment of €12 billion, transport is the second most important sector in the French energy transition. Low carbon vehicles represent only a tiny proportion of the total: €250 million from a total of €12 billion. The public sector is the leading investor in transport, where the majority of the budget is absorbed by urban, rail and river transport infrastructure. The I4CE researchers counted spending on nuclear energy as a pro-climate investment. It was also the biggest target for investment in alternative energy sources in France in 2013, with €1.3 billion, compared to only €0.8 billion for wind, €0.5 billion for solar and €0.2 billion for biomass. And the share of nuclear power in France’s “pro-climate” investments is set to rise. On top of the upgrades to the Flamanville power station, which are due to be finished in 2020, further projects in renovating and prolonging the functional life of nuclear reactors will be included in the climate finance statistics. Pro-climate investments in industry are weak. This is a reflection of the inefficiency of the European carbon market, whose low CO2 price does not do enough to discourage pollution in the industries it covers. In 2013, this represented only 5% of climate investments, at €1.8 billion, most of which was spent on improving energy efficiency. Other sectors with a less than shining record in climate finance are agriculture and forestry, despite the fact that together they account for 21% of France’s greenhouse gas emissions. The only significant investments in the agricultural sector have also been in energy, notably in solar panels. Just days before the start of the COP21, the very definition of “climate finance” remains vague. The various definitions offered by different countries add to the complexity of raising the $100 billion promised by the North, including the Green Climate Fund, to fund climate change adaptation in the South. The energy transition was a central part of François Hollande's presidential campaign in 2012, and has been long-awaited. France wants to be an example to other countries when it hosts the 2015 United Nations Climate Change Conference in Paris. It is playing a leading role in the European climate debate, thanks in part to its low CO2 Emissions. France's reliance on nuclear energy means it has much lower CO2 emissions than coal-dependent countries like Denmark or Germany. But energy efficiency has a bad track-record in France.